If you like animals and would like to spend a full day interacting with exotic species from around the world, then you will not want miss out on Wild Canyon’s Animal Kingdom Sanctuary! Come check out the area we’ve created for our rescued animals. 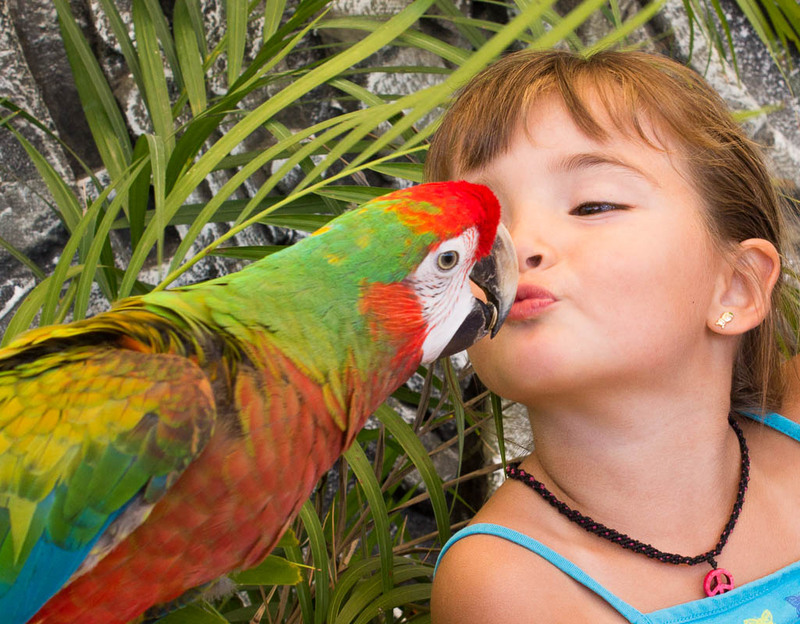 Iguanas, love-birds, macaws and many more animal friends are waiting to spend an amazing day full of adventures with you! Here, you can pet, feed, and create an unforgettable bond with all that live here, all while learning about each one of them. You too will have an experience interacting with our camels and receiving an unforgettable kiss from one of them. Our animal care committee is made up of a group of professional guides, trainers and biologists who are responsible for the care and welfare of all of our non-human friends. This program includes supervising each one’s health, diet and recreational activities that are under our care giving them a quality of life that exceeds all wild environments. Education is another important aspect of our committee. Through interaction with species we create a time and place for people to learn to respect and care for animals and furthermore their ecosystems in hopes to reduce our ecological footprint. Highly qualified bilingual biologist to guide you. Access to all the interaction stations. A water bottle. Food samples to feed the animals. Fuimos con mi bebé y es una actividad muy familiar y hermosa, realmente nos enamoró los animales. Están muy bien cuidados y se siente el amor que tienen por ellos. Nuestro guía turístico fue muy amable y paciente. The staff at Wild Canyon Adventures was very kind and enthusiastic during our visit. We did the horseback riding and our guide Jorge was very friendly and helpful. We didn’t know that the animal kingdom tour was included, but found that it was a lot of fun and was almost the best part of the visit! This was one of our highlights of our vacation. We thought the value was quite good and we are looking forward to coming back again.